Have you ever tried Argentinian food? Unless you have travelled to the country or to South America, chances are most of us have not. I have neither travelled there, nor tried the cuisine, so I'm absolutely thrilled to be trying Argentinian food for the first time, without having to fly half a world away! 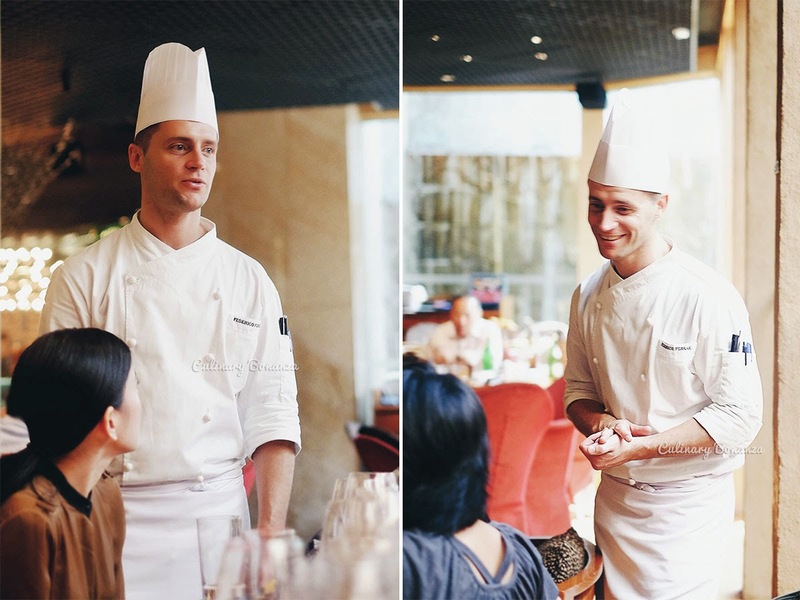 For 9 days only, foodies in Jakarta will be able to taste Argentina cuisine at C's Grand Hyatt Jakarta, with Chef Federico Ferrari of Park Hyatt Buenos Aires. 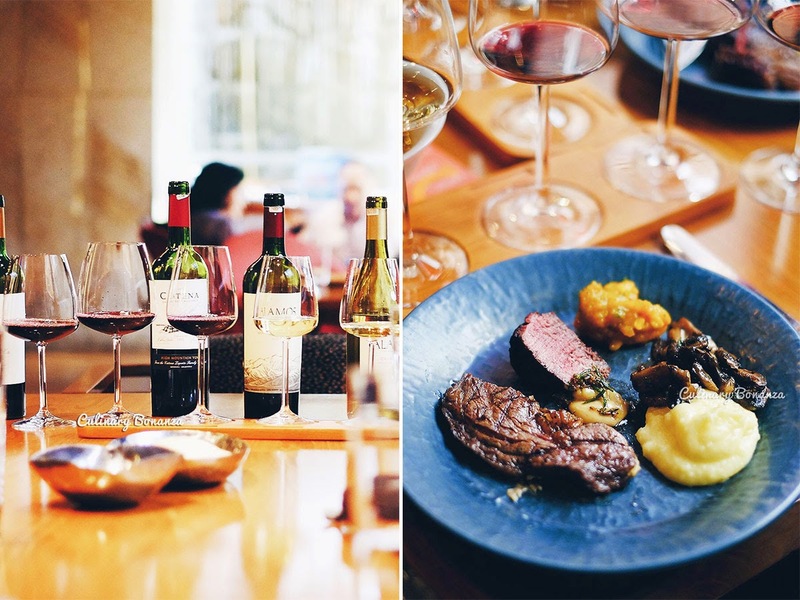 During the 'Experience Argentina' promotion period, guests will be able to sample some classic Argentinian cuisine & selected wines. So what exactly is considered Argentinian food, if you ask? Well, actually, some restaurants in Jakarta serve dishes which are closely related to it, because they have common influences: Spanish and Italian. After all, Argentina used to be a Spanish colony back in the 16th century, bringing with them empanadas and flans. Whereas in the 18th century, a significant influx of Italian migrants introduced pastas and pizzas to the Argentinians. Don't these food sound or taste familiar to you? And here are some of the Argentinian dishes that you could try, they range from entradas (starter), platos principales (main course) with guarniciones (side dish) to postres (dessert). ~ Provoleta de Cabra - provolene cheese with preserved tomatoes, mint & almond sauce. Can you imagine, cheese, fried and served with tomato jam? Seriously, I would be happy as a clam to have only this for lunch, this dish is my most favourite! At a glance, it looks a lot like our Indonesian 'pastel' or fried crescent-shaped pastry with ragout or vegetables filling. But Chef Federico's empanadas is filled with diced meat and some raisins. ~ Mollejas Caramelizadas - caramelized 'sweet breads' with sweet potato & orange puree, mushroom spheres. I did not know what 'sweet bread' was until the moment Chef Matt mentioned neck and pancreas, which are the most typical parts used in making sweet bread, besides other even more unusual parts. I have to say that this is an acquired taste and unfortunately I was too much of a coward to give it a try. But at least I had fun nibbling on the colourful paprika-agar balls that garnish the top. 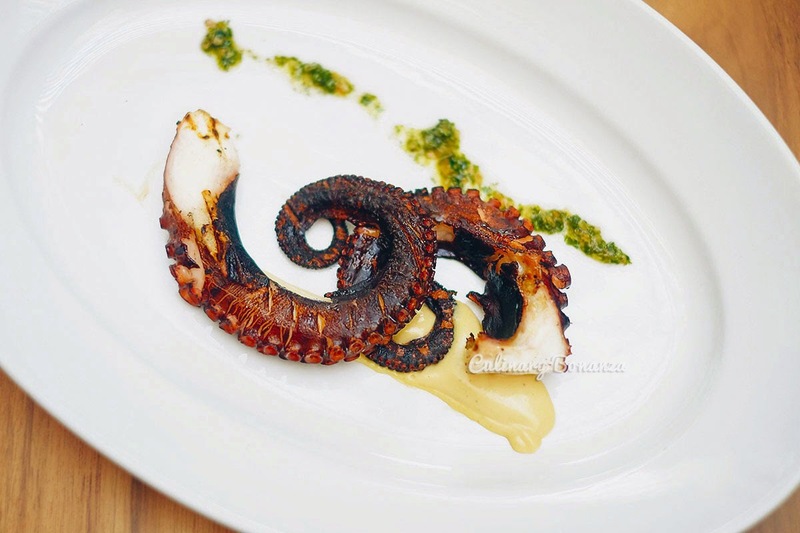 South American cuisine normally comprises plenty of grilled meat and seafood, but it's the herb-y chimichurri sauce that makes it distinctively Argentina. The exact ingredients vary between the Latin American regions, but the thick sauce is typically made from olive oil, vinegar, finely chopped parsley, oregano, onion and garlic, seasoned with salt, cayenne and black pepper. Think of chimichurri is to Argentinians, as akin to chili sauce is to Indonesians (ie: it's irreplaceable, especially with grilled meat). ~ Flan de Dulce de Leche - flan of caramel & dulce de leche, this is the most classic dessert of Latin America / Spanish influenced regions. The above are actually quite commonly found at several restaurants in town, so if you desire something more Argentina, try the Arroz con Leche or rice pudding. Try something new like Argentinian food for this week's dinner / lunch, perhaps? *) Prices are subject to 10% Service Charge & 11% Government Tax. Hi babe, I would like to know, as a blogger (anyone incl. you), normally for restaurants just opened, do the restaurant managers / management team invited you for their food tasting? As u wrote those food prices. I just wanna know did the restaurant itself paid you in return for inviting you / promo or you personally paid by your own to try these dishes? Thx.